April Fool’s Day is a holiday I can get behind. There’s no pressure to get the perfect romantic card and chocolates or flowers (ahem, Valentine’s Day). There’s no expectation of gifts and candy for the kids (I’m looking at you Christmas and Easter). There’s no need to go out and buy green shirts that my kids will wear once (St. Patrick’s Day is for drinking beer, right? Why are the kids even involved?). 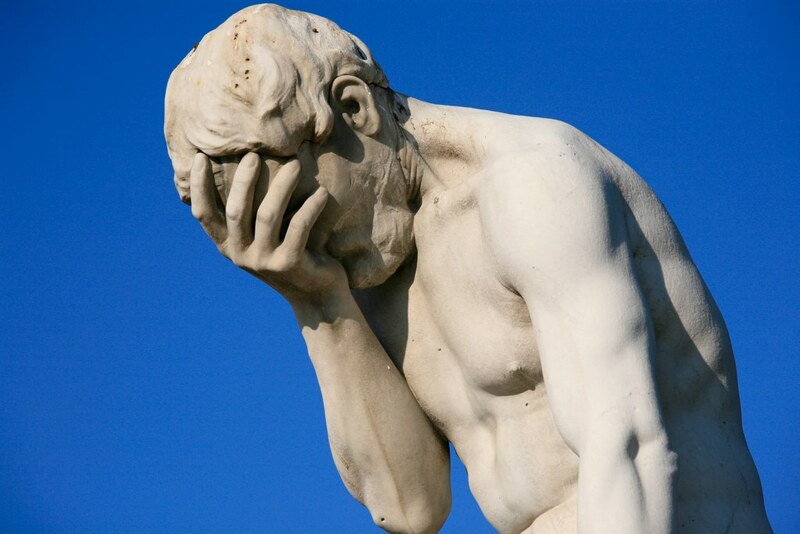 There’s no Pinterest frenzy of crafts, creations, recipes and hoopla to make you feel inept and inadequate (Pretty much every holiday other than April Fools Day. Seriously- enough, Pinterest.). No, April Fools Day is low-key. It’s all about creativity and having fun at other’s expense. It’s perfect. I love April Fool’s Day. My personal experience with this holiday goes back to when I was a sweet, naive 12 year old innocent child. I had finished up my homework and was watching the local evening news. The news reporter was interviewing a farmer who was concerned that his crops were suffering from an excessively rainy winter. The farmer was distraught. He was worried about how he was going to feed his family. He and the reporter walked through his fields, through rows of trees. He plucked something off of one of the branches, put it in his mouth and spit it onto the ground, grimacing. The camera zoomed in on the trees, bearing what looks like white fruit. The reporter said there may actually be a marshmallow shortage in the fall because of the damaged crops. I stared at the t.v. dumbfounded. Huh? Marshmallows? I slowly made my way into my Mom’s room. “Mom? 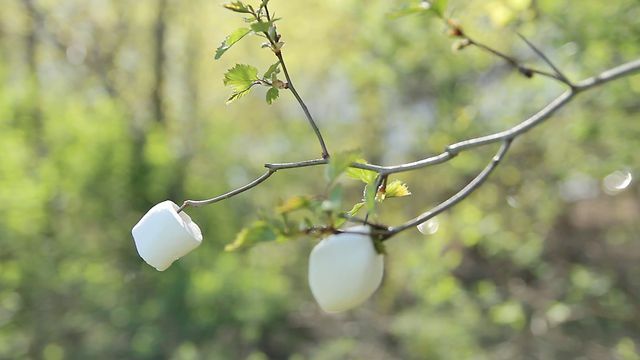 Do marshmallows grow on trees?”. She looked at me with one eyebrow raised. “I mean, I always thought they were made, like in a candy factory. But the news just said that the marshmallow trees are damaged from all the rain.” My mom started laughing. When she saw the genuinely confused look on my face she tried to compose herself. With amusement in her eyes she explained that it was an April Fool’s joke. I was indignant. You’re supposed to be able to trust the news! Why would they play a joke on their viewers! That’s just not right, don’t they have more important things to do? Thus began a long-running joke in my family. I was teased relentlessly for being so gullible. This story was told to every friend I brought home. Family friends, neighbors, anyone who would listen was regaled with the story of my flaky air-headedness. Any opportunity to bring it up and give me a hard time was not missed. It has been roughly 29 years since that perplexing and vexing April. And still, the joke lives on. Just a few months ago, on my birthday, my nephew had a small tree branch with marshmallows taped to it that he proudly presented to me. They will never tire of this joke. My kids have now taken up the cause to make Mom feel stupid and will gladly carry on the tradition as well. And there’s more. When I was older, I apparently felt the need to break up with boyfriends on April Fool’s Day. I’m not sure why. I never was aware that I did this. But I broke up with my high school boyfriend and two different college boyfriends on this day. Each time, the guy thought I was pulling a prank on him. Ooops. My family also took to warning guys about this. They told my husband when they first met him that if he made it past April 1st, then he was o.k. So, me and April Fool’s Day, we have a history. I feel connected to this holiday and it’s spirit of absurdity. I have always wanted to pull off the perfect April Fool’s hoax. I have ideas, I think about it months ahead of time. But every year, the day sneaks up on me. I tell myself next year will be the year. I’ll plan ahead. It will be awesome. If I can execute the perfect deception, the most clever trick, then maybe I’ll have some peace. If I can leave people befuddled and shocked, them maybe I can finally shed the stigma of that long ago spring day of mischief. And one final note to my family, my friends, my husband. All of those people who have relished the teasing and the taunting for all these years. I’m not alone. I am not the first person to be duped by a news show. 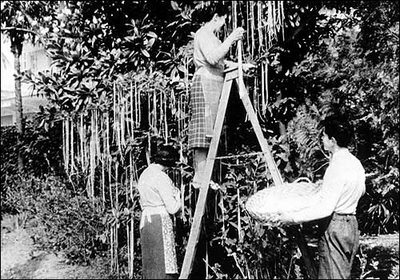 In April 1, 1957 the BBC aired a segment on a false spaghetti harvest in Switzerland. This prank resulted in hundreds of inquiries as to how people could grow their own spaghetti trees. First, let’s make a few rules. News stations, news reporters, you are not allowed to take part in the shenanigans. 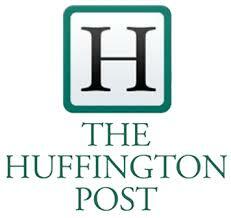 Your job is to fixate on one issue to the exclusion of all other news or to drum up partisan political scandals. You stick to your hyper vigilant obsessive reporting and leave the funny stuff to the funny guys. It’s already hard enough to believe what’s being reported without your throwing in silly little pranks. Second, as for the spaghetti trees… Maybe it’s just me, but marshmallows growing on trees seems much more plausible than spaghetti trees. Those silly Brits. Imagine, thinking spaghetti grows on trees! Ha! And third, I just checked and Pinterest is in fact trying to ruin April Fools Day. Dear Pinterest, Just. Stop. I just now had a chance to look at this link, you have made my day! That is the exact story that I saw on the news when I was younger! (I live in N.C. and grew up here). I can’t thank you enough for sharing it with me! No one else in my family saw this when it aired on the local news, you can see how convincing it is……right??? 🙂 I am so excited to show this to everyone in my family! I had never heard of the BBC hoax until I started writing this, I was researching the origins of April Fools Day and stumbled across the BBC story. I felt vindicated when I saw it, obviously I’m not the only gullible viewer out there! I’m determined to pull off a great April Fool’s hoax, now that I’m blogging I have to do it, it would make a great story. I have a year to plan, hopefully I can come up with something good. Thanks for stopping by, I’m glad Guapo sent you! Glad I was able to help. The BBC hoax is one of my favorites. SNL actually did something similar in the early 80s. I’m anxious to hear your family’s reaction! I just heard about that spaghetti tree story on the radio this afternoon! I love your marshmallow tree WAY better. And yes, Pinterest ruins all the holidays. Actually, make that all the days. I have a love/hate relationship with Pinterest. I can get lost on there for hours and waste all kinds of time. But some of the stuff on there is unreal! My kids go to school and hear about all the amazing Pinterest-y things their friend’s moms did for them and look at me like I’m a complete slacker/failure! It does ruin ALL the days! I am certainly guilty of falling into the trap, and I have definitely “over celebrated” things because I just couldn’t resist some fun craft. But I just can’t keep it up. And the kids don’t really care about most it. I was in awe at the crazy lengths some of the moms went to for my son’s class Fall Party earlier this year. It was ridiculous the amount of time they spent on some of the stuff, like covering little bottles of water to look like pumpkins. And not one kid made a comment about how cute the water bottles were. They just wanted water. I showed up with a box of fruit snacks, and I was like Super Woman. I think every family has stories like that. I’m just sorry Orson Welles didn’t do the radio broadcast of War of the Worlds on April1. That would have been been greater!